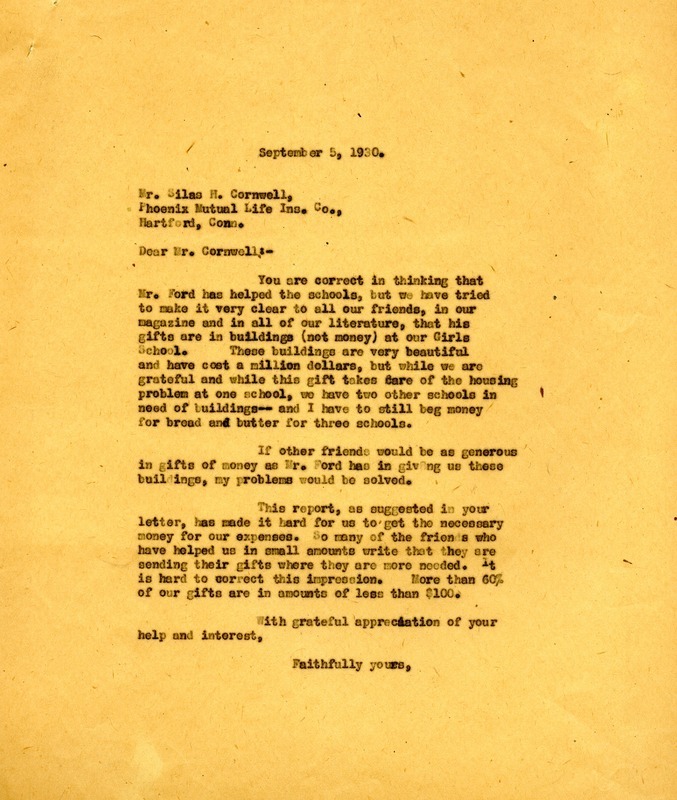 Letter to Mr. Silas Cornwell of Phoenix Mutual Life regarding an article he printed about Mr. Ford's donation of the Ford buildings. Martha Berry, “Letter to Silas H. Cornwell from Martha Berry.” Martha Berry Digital Archive. Eds. Schlitz, Stephanie A., Meg Ratliff, Lori Frederick, et al. Mount Berry: Berry College, 2013. accessed April 18, 2019, https://mbda.berry.edu/items/show/13459.